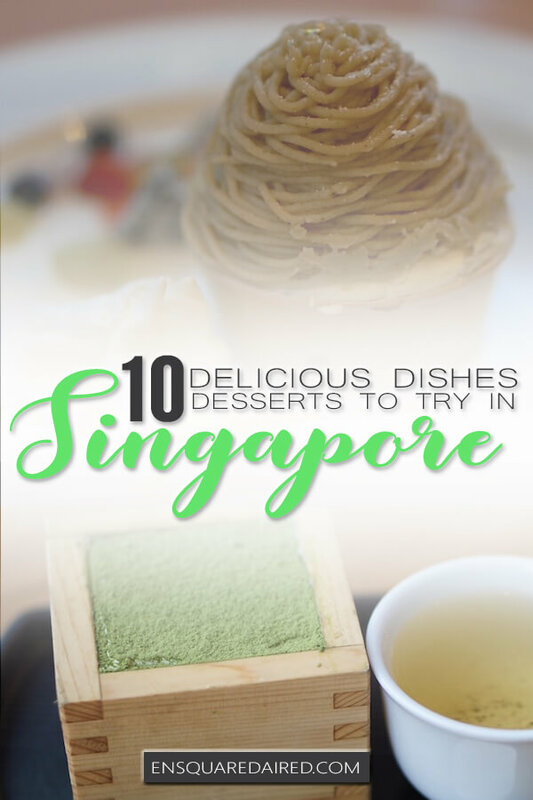 Are you visiting Singapore and you are curious about what kind of desserts the country has to offer? Well, it’s a good thing you are reading this blog post because this guide will give you an idea of what you can expect in Singapore. 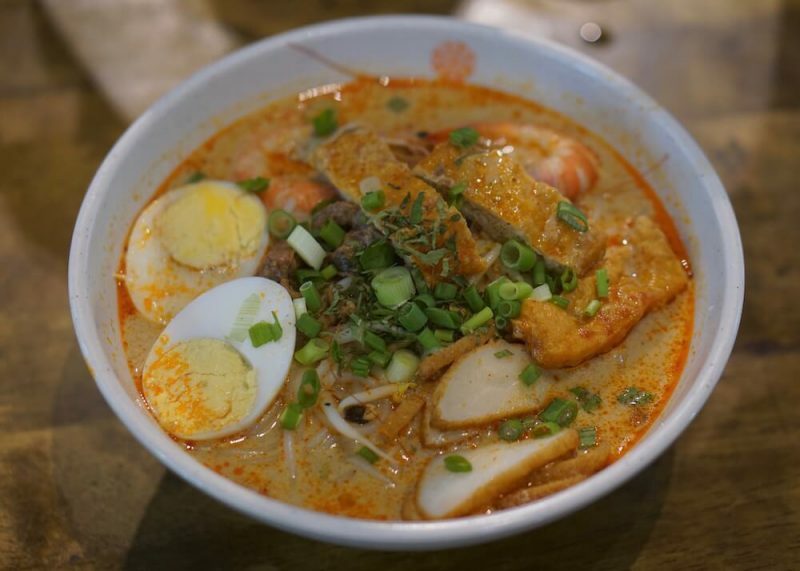 If you read my previous post about eating cheap food in Singapore, you know that I only spent four days in the country and needed to develop a strategy on how I ate (If only I could eat endless amounts of food). 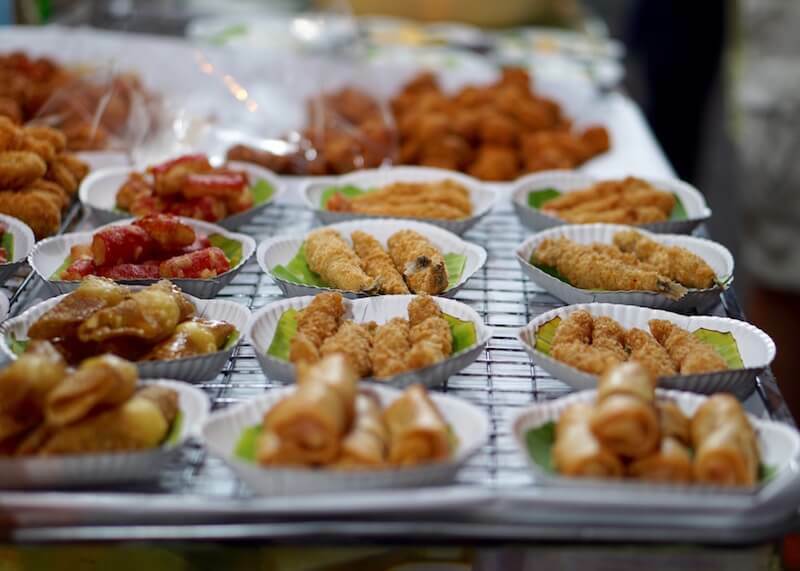 Singaporean cuisine is so multicultural that you can find almost any type of ethnic food, depending on what you’re craving that day. 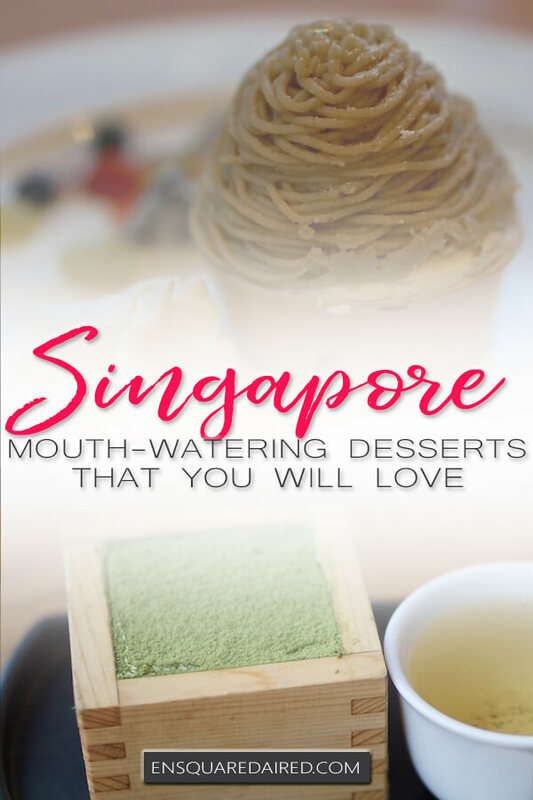 My blog post on desserts in Singapore will hopefully give you an idea of the kinds of desserts that you can find in Singapore as well as an idea of what prices look like for the meals. One of the hardest decisions in my life is having to choose between desserts… Because I want to try every dessert on the menu. 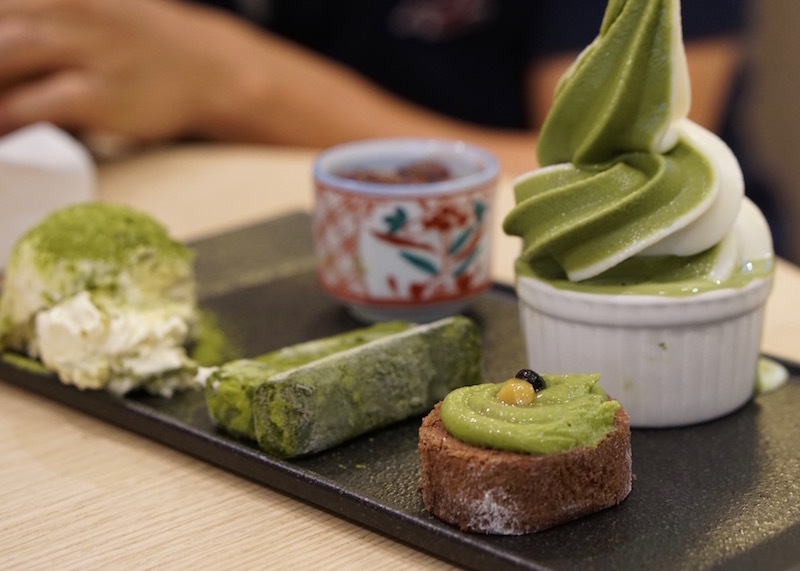 I had to make these tough decisions when I visited Maccha House because every dessert on the menu is green tea and you know me; I love green tea. Luckily, they have dessert sampler platters for greedy food lovers like me who want to eat everything. 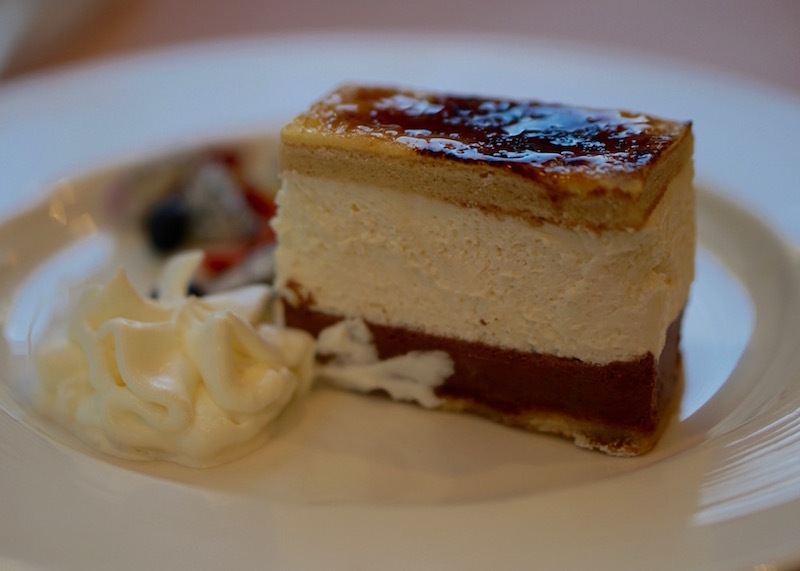 This delicious tiramisu is by Delicius Pasticceria, an Osaka bakery that opened its first overseas branch in Singapore. Made with mascarpone bavarian, coffee flavour biscuit, and fresh cream, this dessert is very rich, creamy, and has the right balance of sweetness. 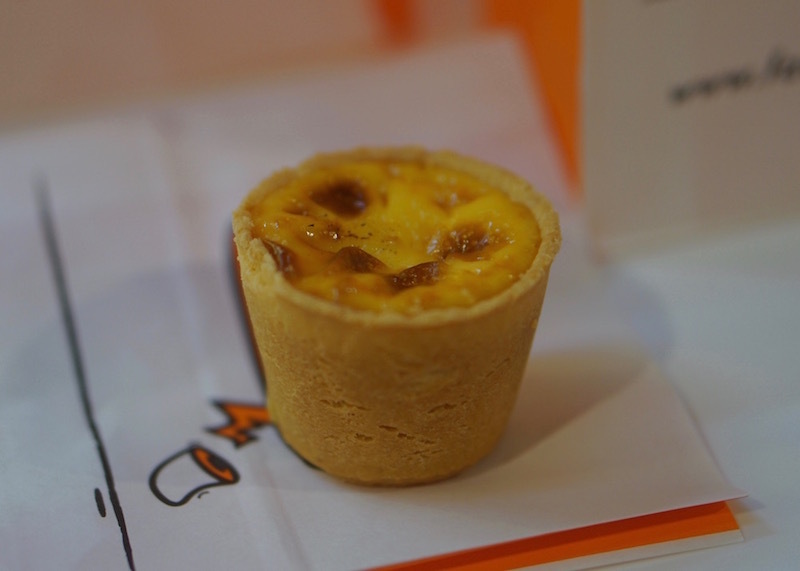 These unconventional egg tarts from Fancy Delight is not the usual flaky pastry that most Asians grew up with. How does this dessert taste like? Think, cheesecake crust with a Portuguese tart in the middle. This green tea cheesecake is so delicious and not too sweet, allowing you to enjoy the taste of the matcha green tea that is in this dessert. 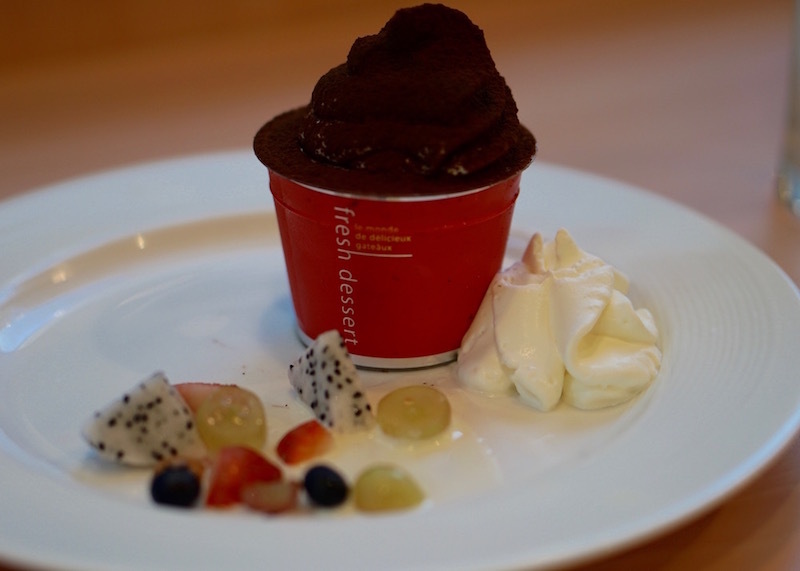 The texture is not dense either but has a light, airy mousse consistency. 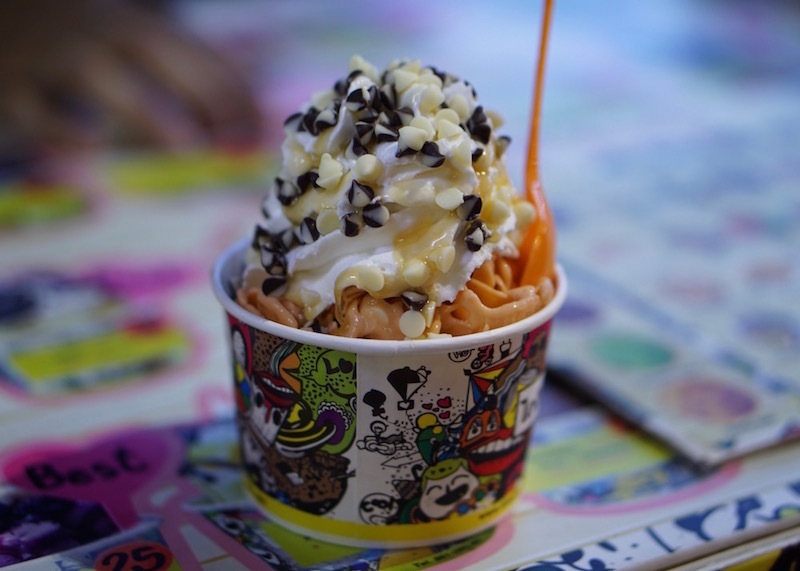 Ice cream vendors are strategically positioned all around Singapore to take advantage of foot traffic. You can easily spot a mobile cart with crowds of people waiting for their ice cream wafer everywhere you go. 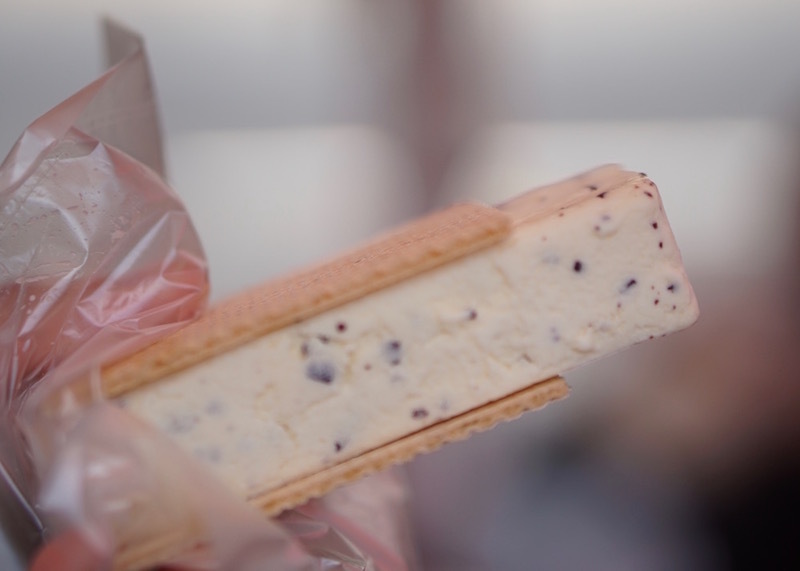 The ice cream comes in blocks, and you can choose to have it served with either two wafers or a slice of rainbow-coloured soft bread. 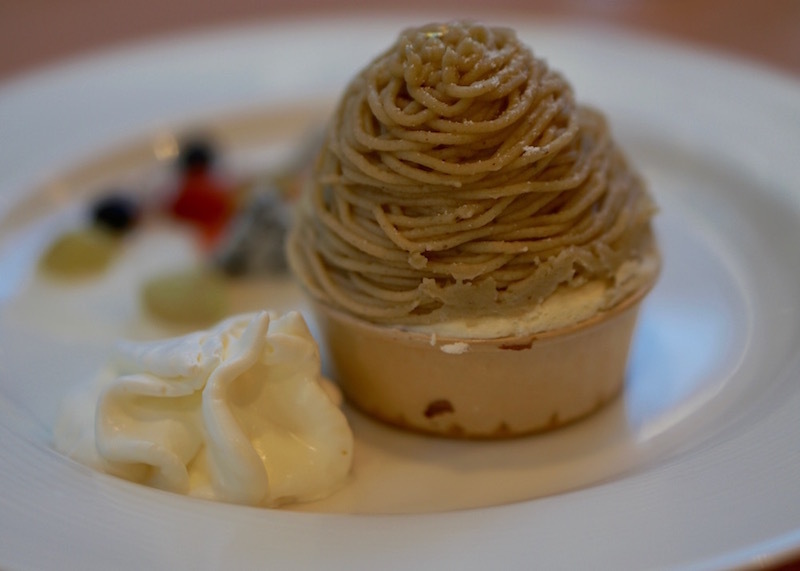 This dessert is made with fresh cream, Japanese chestnut, and soufflé. I highly recommend you try this dessert if you’ve never tried chestnut flavoured dessert. 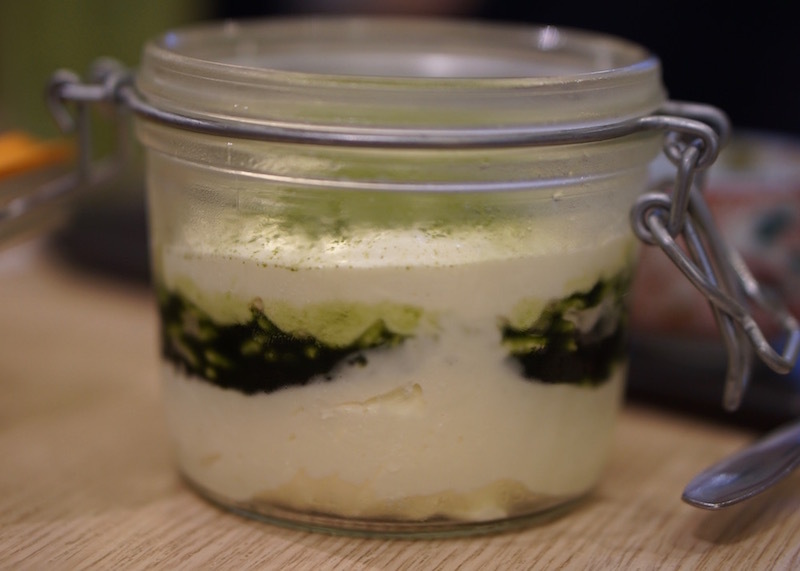 I loved the desserts I tried at the Maccha House so much that I came back to try more of their green tea tiramisu dessert! It tastes similar to how you would imagine tiramisu would taste like, except there are no coffee flavours in this dessert. I’m not going to lie; I picked this one purely on looks. 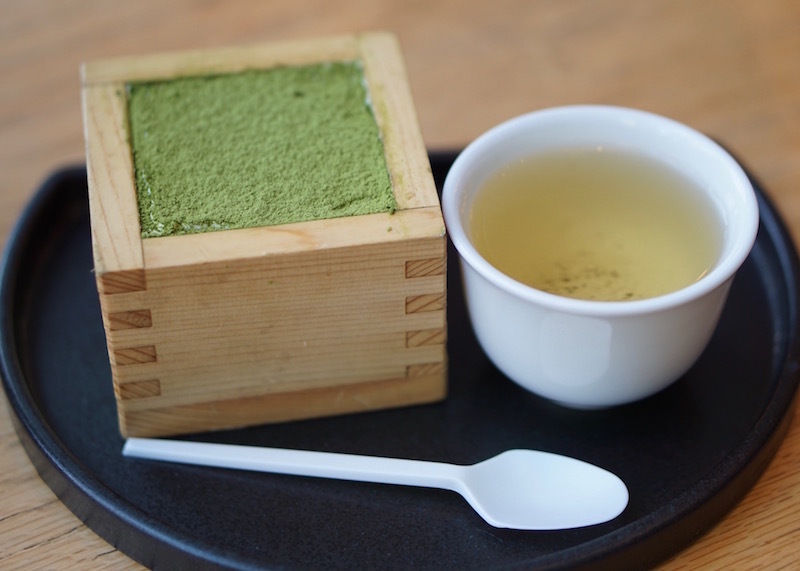 I mean, come on, who can’t resist trying a dessert that looks like a cute little box of grass? 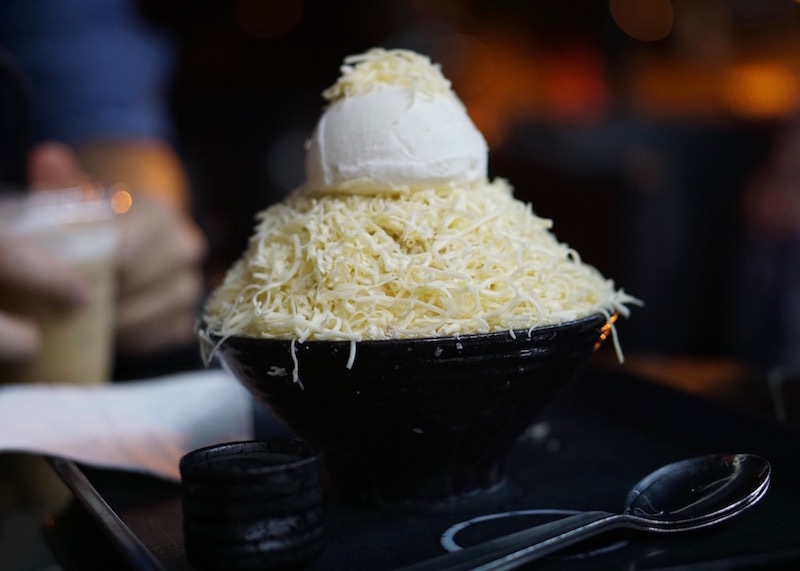 Snow white bingsu from Nunsongyee, served with cheese and ice cream. Yes, that’s cheese that you see there! 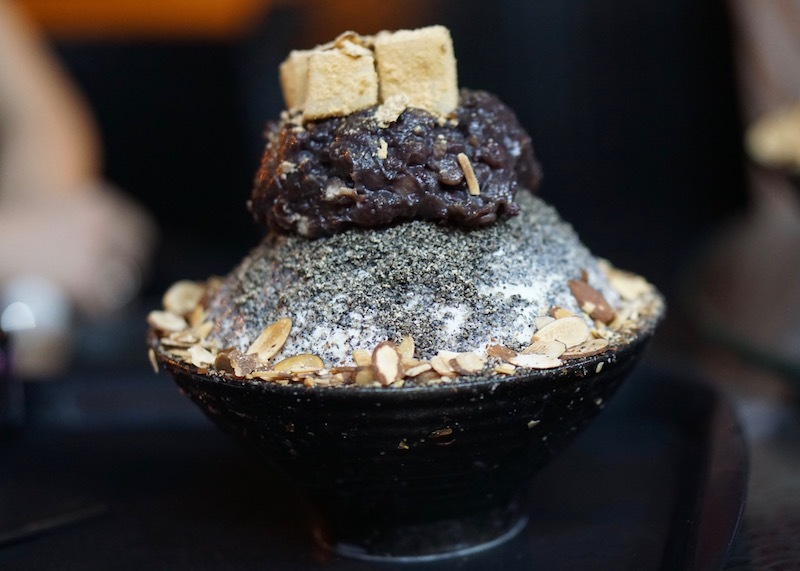 Bingsu is a favourite dessert that originates from Korea and consists of shaved ice with different toppings and flavours. 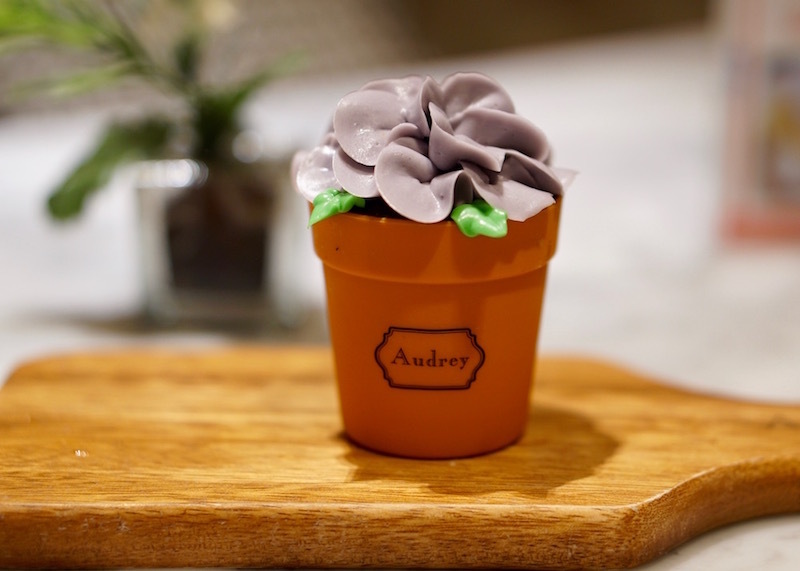 I was super bummed that I didn’t get to try this dessert during my short stint in Seoul but luckily made up for that missed opportunity while in Singapore. This saint marc dessert is made with rich vanilla cream and chocolate cream with a caramelized biscuit. 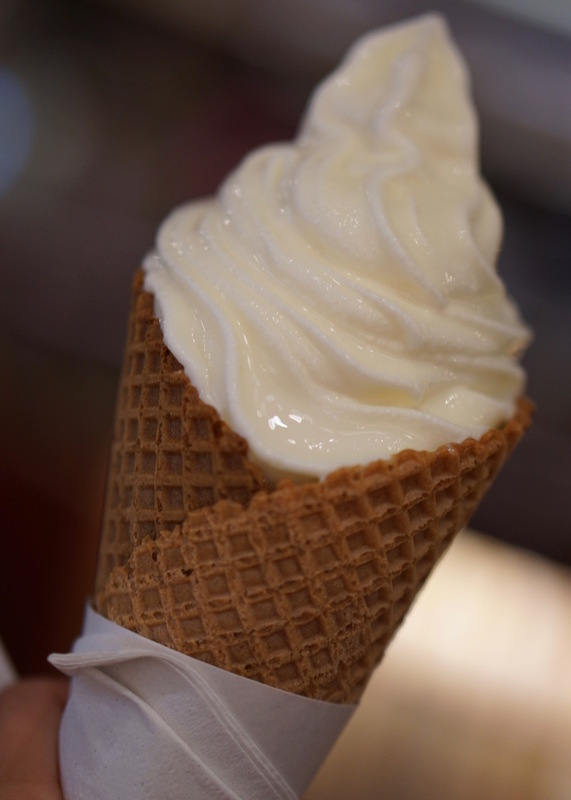 Hokkaido soft ice cream tastes like vanilla ice cream, but better. It’s hard to describe the difference between the two, but if you were to do a taste test between regular vanilla ice cream and Hokkaido ice cream, you’d pick Hokkaido. The unique taste might have to do with the way milk is from Hokkaido. There you have it; a sampling of all the desserts I ate while in Singapore. 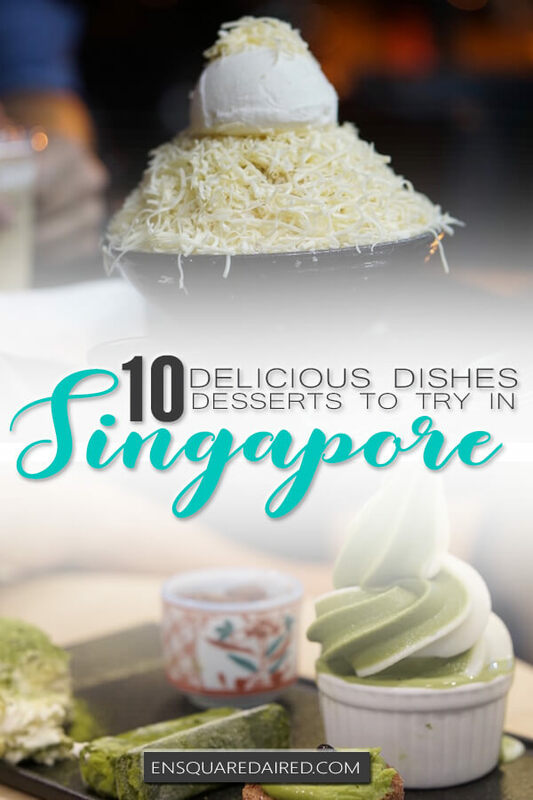 Share in the comments below your favourite dessert find in Singapore! I just gained 15lbs reading this. I’ll have one of each please! I definitely gained at least 5lbs in Singapore! Hey sweetheart, love your sharing – hope I dare to take a leap of faith and take a break from the routine of life itself someday soon. Thank you for being so kind about your comments of Singapore. If you’re willing, do keep in touch with me and I will bring you around for more local food. 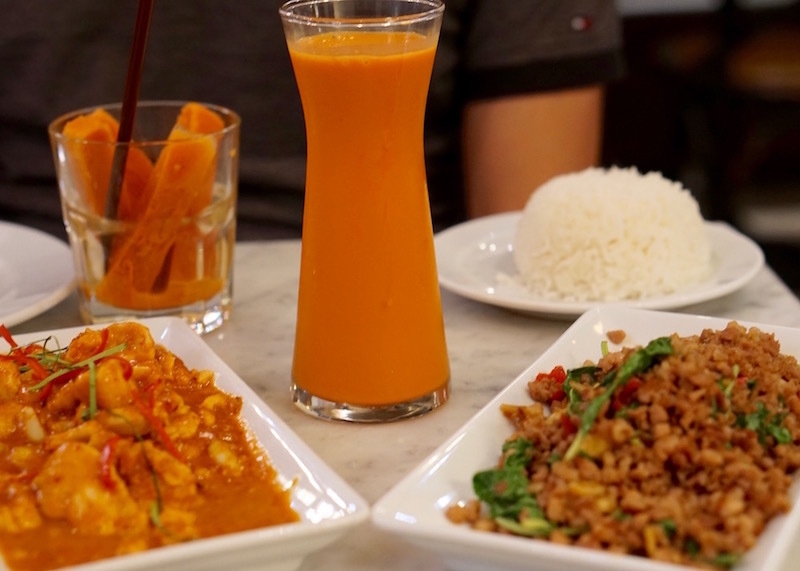 You’ve overpaid for the laksa, darling. 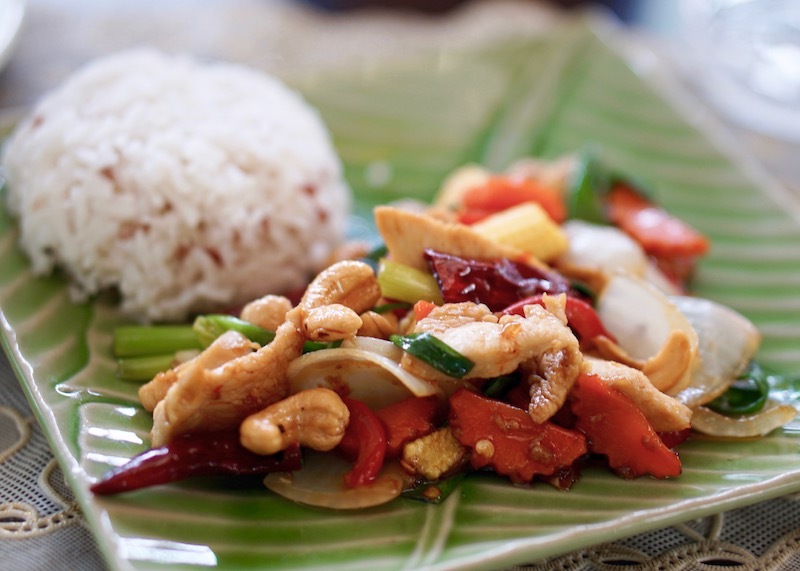 It’s amazing how you could eat such a wide variety of food in 4 days! 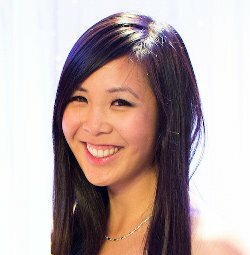 May you and Gary always be at the right place at the right time!